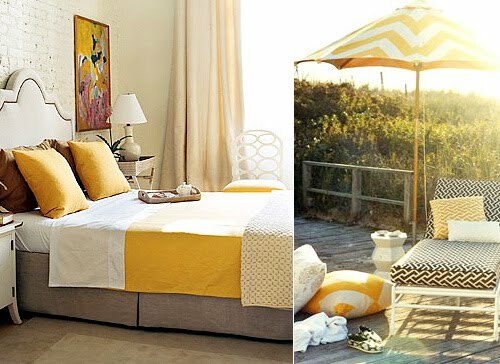 We are seeing an explosion of yellow in combination with white & black everywhere from interior design to fashion and accessory design. 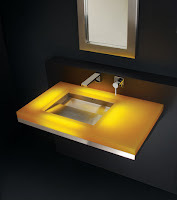 Yellow, a warm color perfect for spring and summer, reflects joy and happiness, and perfectly complements the cool elegance of the non-colors white and black. 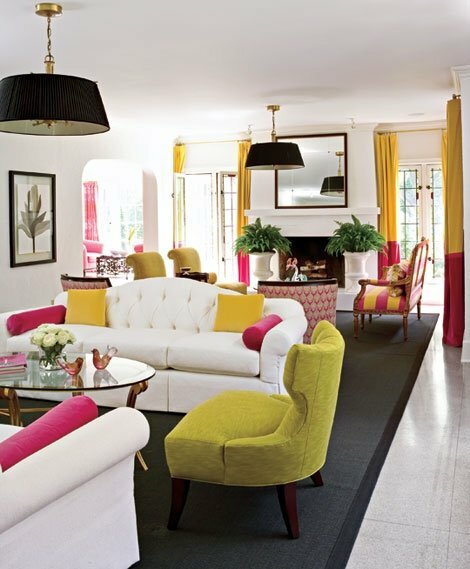 Citrus colors such as yellow and lime were launched as hot trend for interior design last year and we are still intrigued by these fresh, inspiring hues. 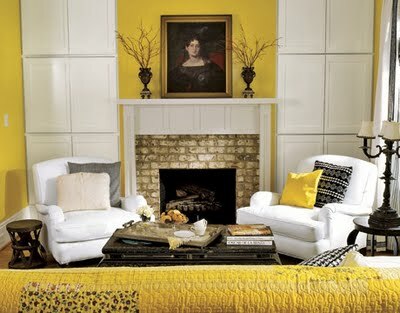 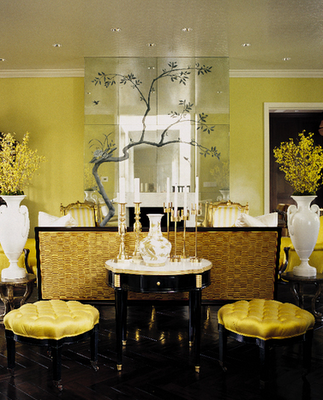 Whether it’s a bright, bold yellow or softer tone of lemon, yellow adds a vibrant, fresh energy and look to your home. Pair it with gray for a more subtle and sophisticated look. 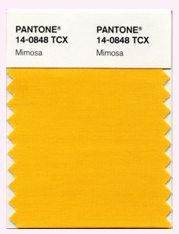 Yellow: Pantone declared it color of 2009. 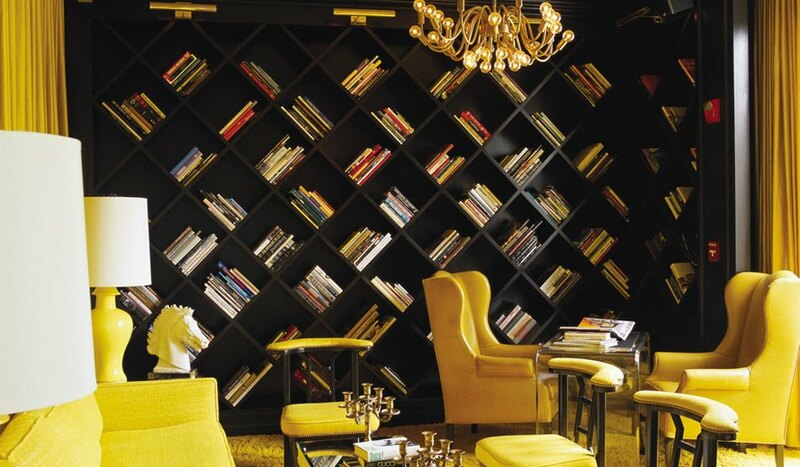 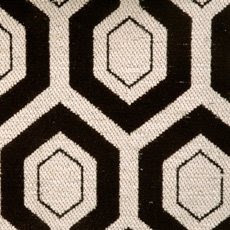 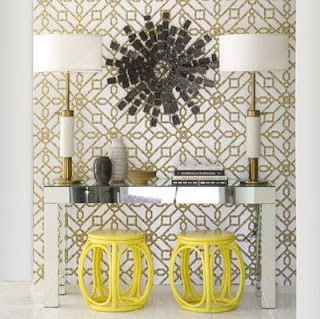 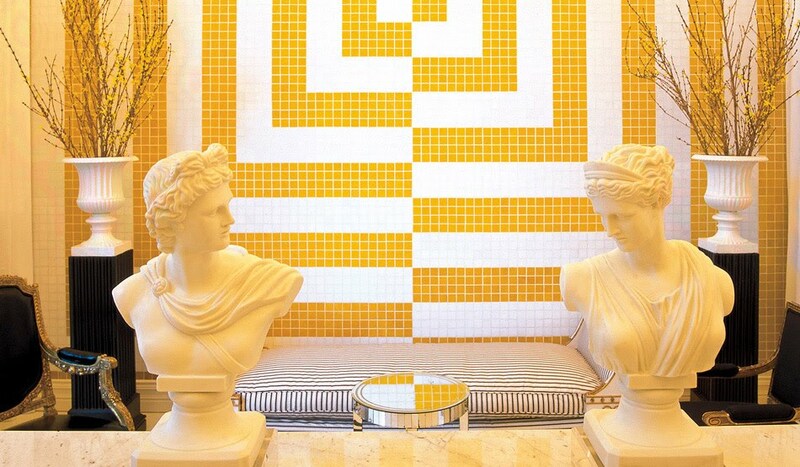 Interior designer Kelly Wearstler accentuated this trend with her designs for the Viceroy Hotel, as seen below. 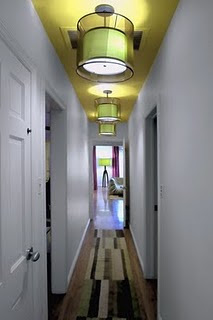 A sunny yellow accent wall or yellow fabric adds a fresh look to a traditional decor. 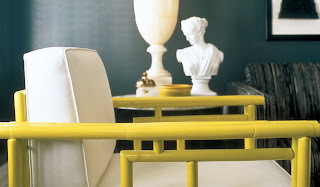 Upholstering an armchair or a headboard in a fun, fresh yellow fabric against a glossy black paneled wall creates a highly dramatic look. 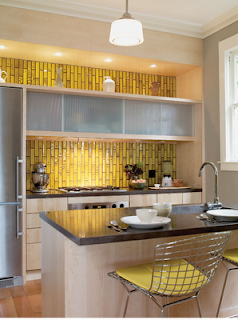 A vibrant yellow tiled backsplash and black countertops give a small kitchen a bold personality. 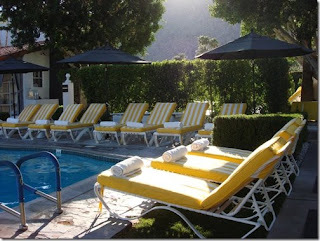 Left: For a contemporary, tailored look pair soft yellows with sleek furniture and bold prints. 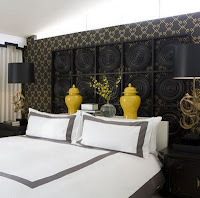 Right: Covering the ceiling with wallpaper and keeping the rest of the room neutral is a simple way to make a dramatic design statement. 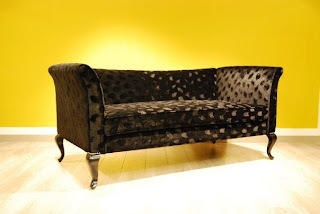 Sofa upholstered in Cassaro fabric against a sunny yellow wall.